One out of three women said they'd rather trip while walking down the aisle than have a wedding day hair fail. And yet, even amid all the self-induced anxiety, the survey shows that most brides don't plan their hairstyle more than eight days prior to the wedding. 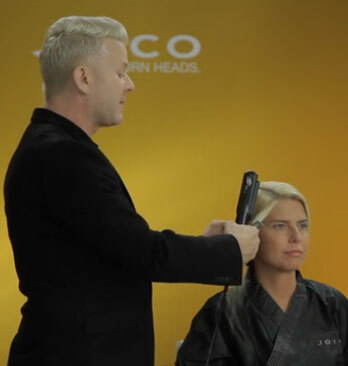 Here in this video Joico's International Artistic Director, Damien Carney offers insider advice that guarantees "wows" down the aisle.